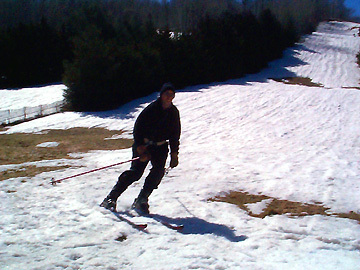 April 14, 2001, and we still had enough snow to ski! 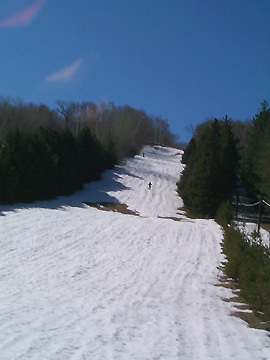 It was a blue sky spring skiing day! 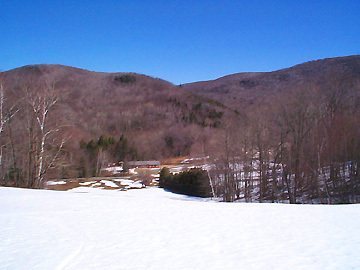 Looking down West Meadow toward the lodge. 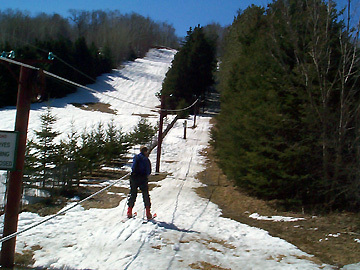 Josh heading up the rope tow. 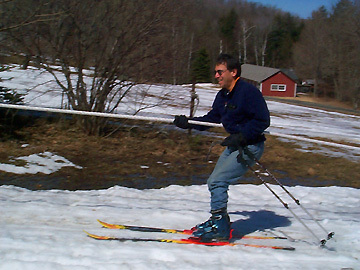 The snow on the tow line got a bit thin. Jim arrives at the bottom.